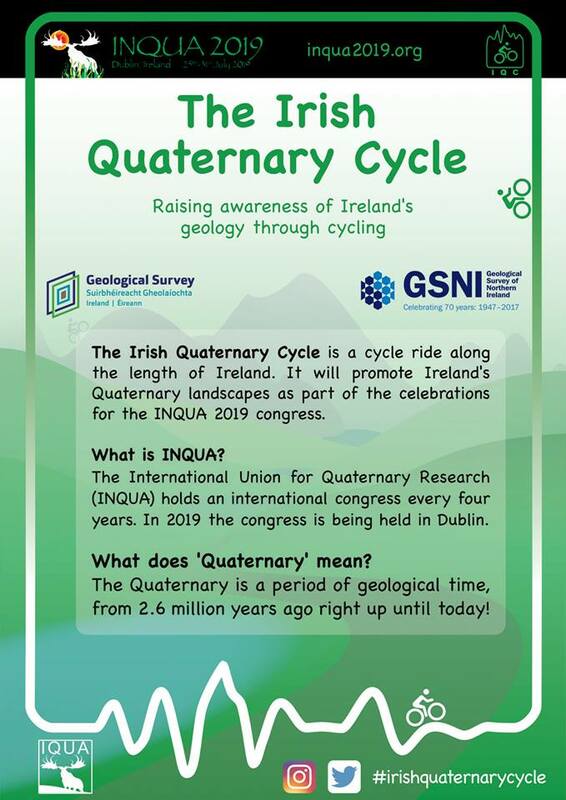 Starting on the 15th March 2019, the Geological Survey Northern Ireland Quaternary geologist, Sam Roberson, will be cycling from Mizen Head to Malin Head to celebrate the INQUA Dublin congress in July and promote Quaternary geology and landscapes across the island of Ireland. 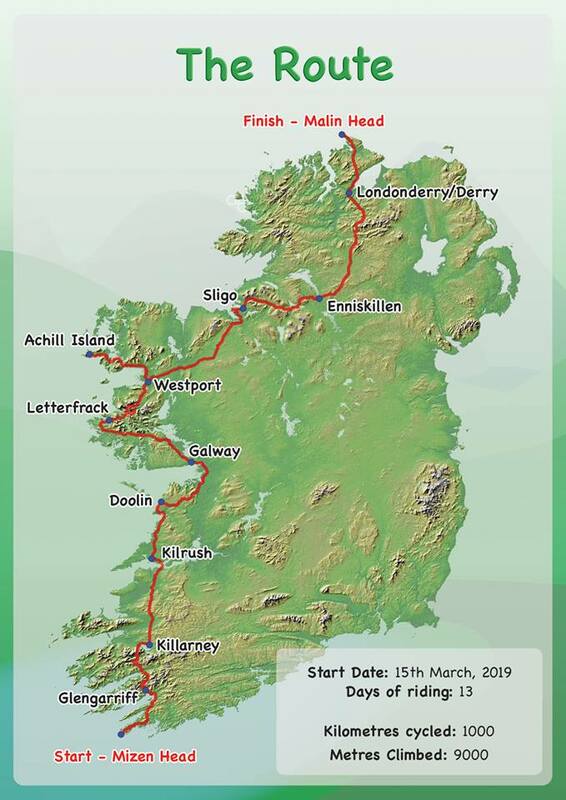 You can follow his progress with the @quaternarycycle twitter along the route that will cover 1000 km in 13 days, much of it following the Wild Atlantic Way route. 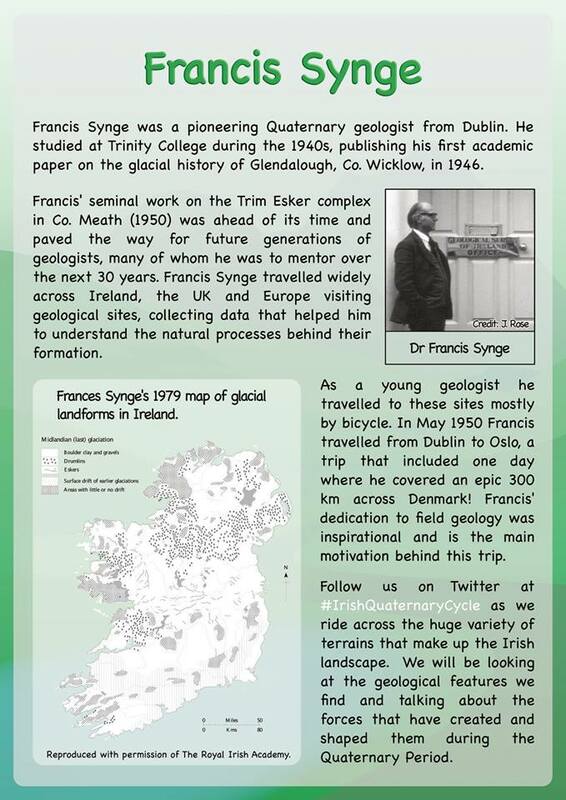 His tour will take in some of the most dramatic and iconic Quaternary landscapes that the island of Ireland has to offer, talking about how they are related to Quaternary environments and processes. On the NW side of Claudy we find evidence of permafrost (ground frozen for more than 2yrs) in the form of patterned ground - a phenomenon caused by polygonal frost-cracking. Kilroe also identified an infilled frost-wedge near here during the 1908 survey of Londonderry. We arrive at Gortin Lakes in the Sperrin AONB. These are kettle holes in a series of stepped ice-marginal lake deltas. 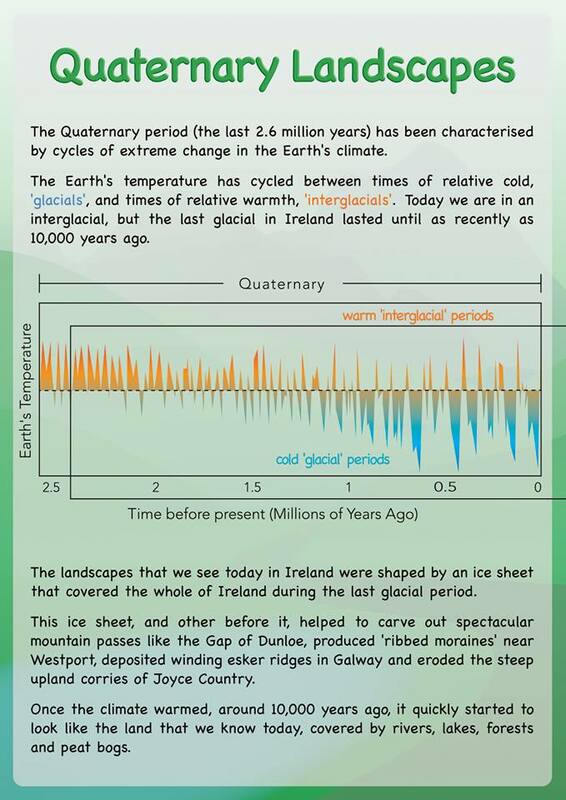 These formed as meltwater from the southerly Omagh ice cap spilled onto the Owenkillew glacier, carving out Gortin Glen, a meltwater channel, in the process. Another long day in the saddle, c.100 km over the Sperrin mountains to Londonderry! The land between Enniskillen & Omagh is dominated by sinuous esker ridges & mounds that follow deep-seated fault networks. Faults often act as guides for ice flow, even across low lying terrain.